The Parent Committee is made up of a group of parent volunteers working to raise funds for the children and the preschool. All CPC preschool parents are welcome to join. The Parent Committee has been active at CPC for many years. They have traditionally worked behind the scenes to support the Preschool with earthquake kits, and uniform sales and they also host a variety of social events, and provide special services to the school. They also make special purchases for the Preschool in order to enhance the Preschool experience for all of the children and families and to promote school spirit and a sense of community. 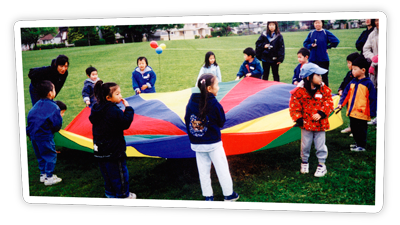 Some of the social events the Parent Committee organizes are play dates at “Fun 4 Kids” and Kerridale Play Palace, Annual Children’s Christmas Party, Sports Day and Summer Picnic. The Parent Committee facilitates the DVD production of the student Christmas concert and year end Graduation concert. They also produce a complementary digital school yearbook for all parents and children to enjoy as a keepsake.